Ana Dutra didn’t want to write yet another book on leadership. 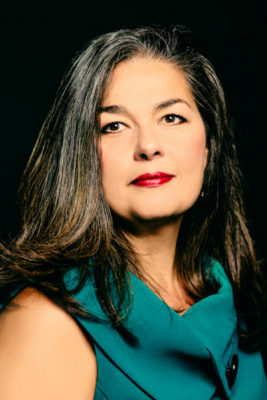 When her publisher contacted her to weigh in from her multinational business background—she’s currently the president and CEO of the Executives’ Club of Chicago, but has variously served as CEO, managing partner, or board director of companies such as Mercer, Accenture, Korn Ferry, the CME Group, Greeley and Hansen, Lifespace Communities, and Mandala Global Advisors—on what makes good leaders, she demurred. Indeed, that’s the word. And she told us how that epiphany led to the book title Lessons in LeadershiT: Detoxing the Workplace (Hogan Press Inc. 2016). She defines ten poor leadership types that populate organizations everywhere (“the irritable tyrant,” “the user and abuser,” “the manipulator,” “the chameleon,” “the landgrabber,” “the inauthentic,” and others), and here she shares with Hispanic Executive how they work in contemporary workplaces—and how to manage with, around, and past them. So you didn’t immediately agree to write this book. Why did you ultimately decide to do it? People face bad leaders all the time but don’t know how to respond. So, I decided the book should meet three criteria to make it valid and useful: First, it had to be data driven and research based. Second, I wanted it to be fun to write. And, most important, it had to be helpful. I wanted readers to learn how to respond to these types of managers. Treat everyone the same by being responsive and respectful. Everyone has his or her derailers when under pressure; the problem is when bad behaviors are taken to extremes and define the culture. The number one job of leaders is talent management. Get that right, and you will succeed. You can learn as much from good leaders as you can from poor ones. Watch for what you want to be like as well as for the behaviors you don’t want others to see in you. Power and leadership are two different things. Power is about the self and often achieved by being given or by taking (e.g., a coup). Leadership is about others; it is earned and long lasting. Leaders learn how to lead. You may be wired for it, but it takes work and commitment. The great leaders are incredibly authentic. They don’t shove things under a rug. You address up front the problem of interpersonal dynamics in the workplace. How do you solve for office politics and its costs? It is a big drag on productivity. If there was a way to calculate the waste of time of such things, we would be surprised by the ridiculously high cost. What people really want to do is get stuff done. The problem is so many leaders are out of touch with what is going on in their shops. If they are in touch, they still need the courage to fix it. I suggest asking the three Cs: Who are the cast of characters? What is the context of the conflict? And, does company culture nurture this behavior? Is there something about this particular moment, particularly with globalism and multiculturalism, that requires more of leaders? Leadership as a topic came to the forefront in the early 2000s, in the wake of corporate scandals. Now, we have a generation of millennials who are questioning traditional values and behaviors. Add to that, communications technologies: yelling and manipulative executives can get caught on social media; you can no longer get away with stuff when everything is being recorded and posted on social media. Now, leaders have to earn their authority on a day-to-day basis. In the simplest terms, there are behaviors that are or are not acceptable. But in a global economy, there are also shades of gray. I talk about the chameleon personality as a negative leadership trait, but in some cultures, one would never contradict a superior. You always have to consider the cultural context. You yourself come from a multicultural background. Is that an important asset in anticipating these cultural variations? I think it helps that I was born in a developing country, Brazil. Also, I’ve opened businesses in twenty-five different countries. I’m acutely aware of cultural differences and have learned how to get people from different places in sync with each other. One of my techniques is if I have a meeting at 8 a.m. in a different country, I go out into the street at 7 a.m. There, I observe how people are dressed, if they appear to be happy and optimistic. I intentionally surround myself by locals to learn about the culture and the people. Do political leaders affect business leaders—and aren’t we in a time of conflict that can affect organizations? Yes. Because we live in a time of so much political instability—look at Brazil and Venezuela, for example—the whole conversation is about good and bad leadership. One effect is that leaders have to take a stand; they can’t be vague. Let’s get back to millennials and the new world of multichannel communications. With so many means, channels, and devices, what’s a smart leader to do? Basic communications skills are essential in all forms if you want to lead. Some people excel at writing e-mails, others are better at scripted videos, and still others in face-to-face conversations. There are no excuses to avoid any of them; you can’t say, ‘I won’t do town hall meetings.’ But you have to know your audience and their preferences. With my daughters—who are millennials—I know I’ll get a faster response if I text them rather than with a phone call. What can leaders do about the looming macroeconomic problem of automation and the loss of jobs that will result? Automation isn’t really the issue, even though such things as driverless cars will eliminate a huge number of jobs. The problem is low-skilled workers will be displaced without an easy way to find a new job. We need a much bigger charter in which to think about this: how do we develop skills to enable them to rise to higher-skills employment? This is where the partnership between government, business, and academia is so important. Is this about taking a longer-term perspective? There are business leaders who think beyond their own existence to solve some of these problems. The question is, are you a leader for the next three years or for the next generation?